Jazz Up the August Garden | Faddegon's Nursery, Inc.
August is a time when gardens can start to look a little anemic when it comes to flowers, despite our best efforts. So why not think FOLIAGE? I am always drawn to big, splashy plants that politely scream for attention. 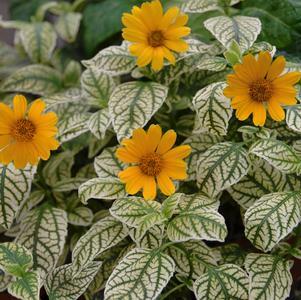 You may get six weeks of flowers from longer blooming perennials but colorful and dramatic foliage plants strut their stuff for three seasons. Chocolate-leaved Cimicifuga ‘Brunette’, ‘Hillside Black Beauty’ and ‘Black Negligee’. These do best in part sun. Lungwort (Pulmonaria) ‘Majeste’ and ‘Diana Clare’ have striking silvery-white leaves. 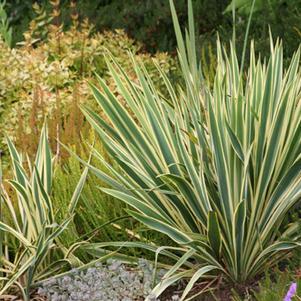 Most varieties have white spotted, green leaves. 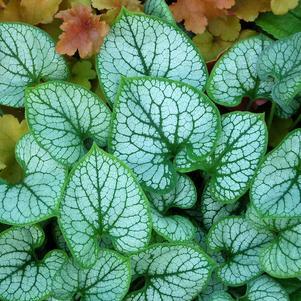 Siberian Bugloss (Brunnera) ‘Variegata’ has bold white margins and green leaves; ‘Jack Frost’ has silvery leaves with green veins (pictured) and ‘Looking Glass’ have all silver leaves. Giant Hostas like‘Sum and Substance’ (gold), ‘Frances Williams’ (gold and blue, and ‘Blue Angel’ (blue).